A compact, no-hassle MIDI controller for all your music software and hardware needs. 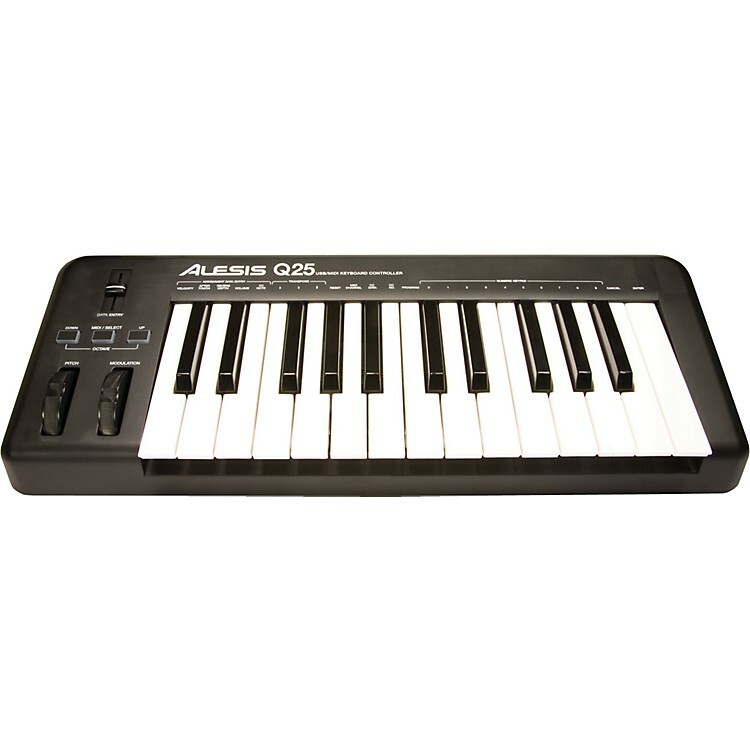 The Alesis Q25 is a 25-note, velocity-sensitive, MIDI keyboard controller with USB and traditional MIDI ports that enable you to connect to almost all MIDI equipment including software and sound modules. Thanks to Pitch and Modulation wheels, backlit Octave Up and Down buttons, and a Volume/Data Entry slider, you can add expression, range, and dynamics to your performances quickly and effortlessly. An affordable plug and play keyboard solution.